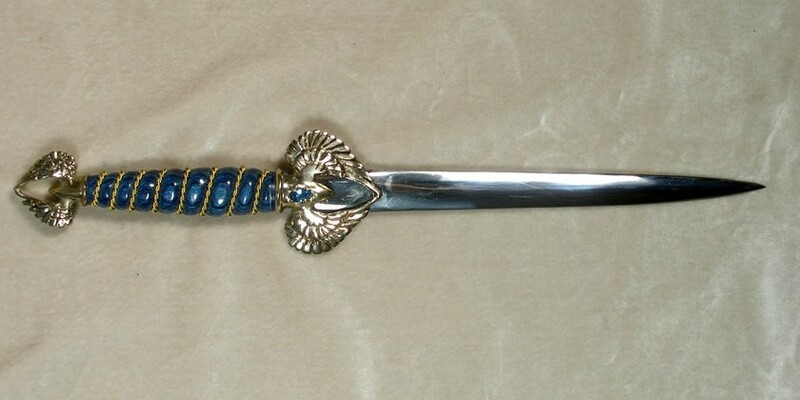 Elegant wings fold gracefully down and over the blade on either side of this dagger hilt. The pommel repeats the same image only smaller in the other direction. Each knife is hand-made to your specifications, with many options available.